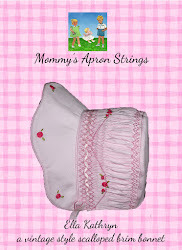 Mommy's Apron Strings: I Love Vintage Rompers! This romper is so sweet. I love the drop-seat backs. I guess they were supposed to make potty training easier, but with all those buttons, I'm not sure it did! I also like the cuff at the bottom of the leg. 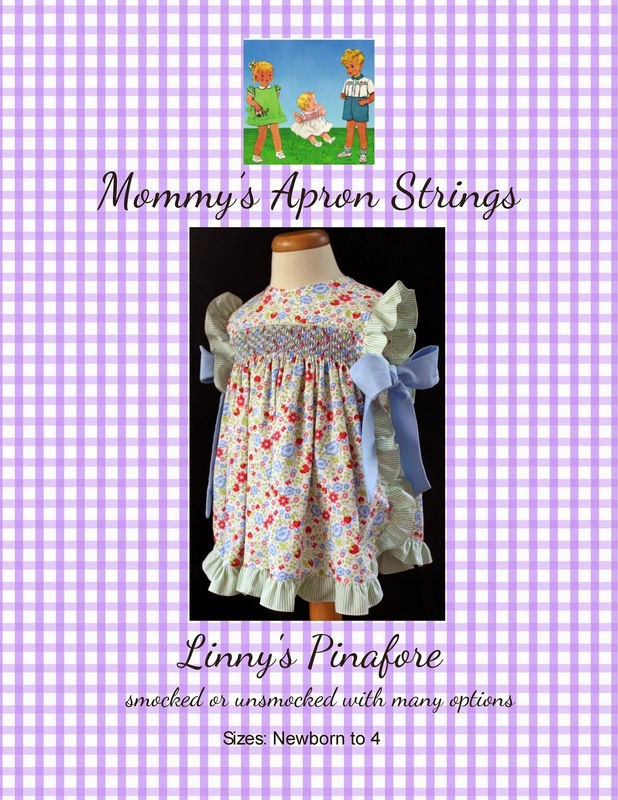 This style was available in sizes 1,2,3,or 4 years. Mine is a size 2. It is a Butterick pattern with a "Deltor" which was their name for an instruction sheet. It was a shortened version of their fashion magazine, the "Delineator." Here's a close-up of this style. This pattern has a few options for neckline, collar, sleeves, and cuffs. It's original price was 25 cents. This next pattern is also a size 2, originally 25 cents. Notice that it's "The New McCall Pattern". They didn't change it to McCalls till 1951. This one is interesting because the front and back are cut in one piece and the back gets brought around through the legs and buttoned to the front at the sides. Most of these rompers came with short and long sleeves, so they must have been intended to be worn year round. I can picture them with the heavy stockings people wore then. This pattern is special inside, too. It was one of the early "printed patterns" which means that the pattern pieces had words printed on them. The earliest patterns were unprinted, pre-cut tissue paper. I'll do a post with examples of this sometime. This pattern gave ideas inside. Here is the diagram on the instruction sheet which is supposed to show you how to construct the garment. Not a pattern for the faint of heart! However, just having an instruction sheet is an improvement. My very old patterns have a paragraph of written directions on the envelope and that's it! Here is another Butterick Pattern and Deltor, size 3. This one has pockets that look like jodhpurs on the sides. That was a popular style in the teens and 20s. On this one, the pants button-on to the shirt. This one also has cute neckline treatments and kimono sleeves, which makes the construction a bit simpler. Here's a close-up of this style. Last but not least, is this cute Butterick pattern. It is a size 2 and is similar to the previous romper, but in one piece rather than with a button-on pant. I hope to take some time soon to stitch one of these for Andy. It is interesting to sew from a vintage pattern. I have only done it a few times. Do you collect vintage patterns? Did you enjoy seeing these? I am working on my redwork quilt and Andy's smocked summer bubble. Back soon with progress, I hope!! Loved seeing your vintage Romper patterns! Love seeing the vintage patterns, someday I will start collecting them as well. They'll look great and Andy! Cake Pops...A Yummy Little Treat! Only Read this if You Love Harry Potter!